Professional Bull Riders (PBR) was established in 1992. With more than 1,200 cowboys across the globe, don’t miss your chance to catch this action-packed event. 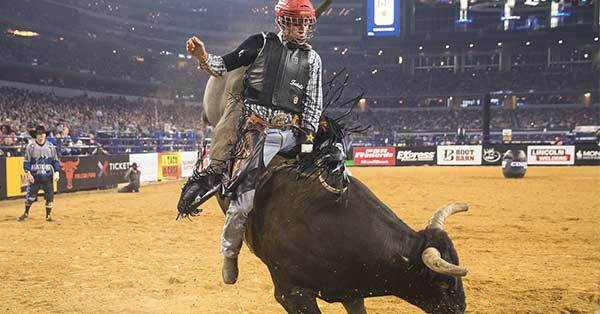 See PBR live with tickets from Ticket Galaxy. Professional Bull Riders (PBR) began in 1992 as a twenty-rider organization that turned into the "fastest-growing sport in America." Bull riding is a competition between man and animal. A bull rider attempts to stay on a bucking bull for eight seconds. With the ferocity and strength of a bull, this sport is extremely dangerous and exciting to watch.